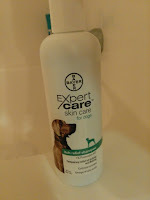 As many of you know last month I decided that I was going to review three of Bayer® ExpertCareTM shampoo products. Last month I tested the Bayer ExpertCare Moisturizing Shampoo - click HERE for the link to my review. This month I tested the Bayer ExpertCare Itch Relief Shampoo. Living in Wisconsin our winters can get very cold and the air in our home can become so dry. Often causing dry skin which causes Diesel to itch. 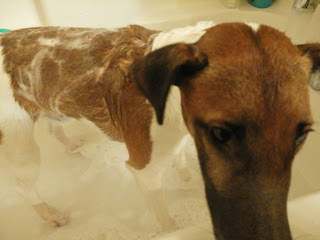 Check out Diesel in the tub for his review of Bayer ExpertCare Itch Relief Shampoo. The first thing I noticed and really liked about the Itch Relief Shampoo is that it is thick and stays where I put it on Diesel's back. With thin liquid shampoos it is hard to apply the shampoo - put the top down on the bottle and set the bottle down. Itch Relief is a nice thick shampoo that stayed on Diesel giving me time to close the bottle and then start rubbing the shampoo into his fur. I even had time to take a pic of the shampoo on his fur before I started rubbing the shampoo into his fur. The thickness of the shampoo was nice but the smell was heavenly. A nice calming clean smelling shampoo - not a medicine smell. The shampoo lathers great - giving Diesel a relaxing soothing bath. Diesel loves to take a bath - he stands and lets me massage in the shampoo. I trust Bayer ExpertCare as quality products made especially for dogs and cats. Bayer Expert products are specially formulated for cats and dogs for health and wellness. Bayer Expert Care products are available exclusively at PetSmart. I also like the fact that I can go to PetSmart and find a Bayer EpertCare product to help correct a issue with Diesel. Bayer ExpertCare offers a wide variety of health products for dogs & cats ~ Skin Care, Health & Wellness, and Ear Care. Check out how great Diesel's fur looks after using Bayer Expert Care shampoo's. Diesel is my baby and I only use the best for his care ~ the reason I choose Bayer ExpertCare products. That sounds like a wonderful dog shampoo. I would love to try this out on my Milo. Passing this info on to my girlfriends. A few of them have pups and are always looking for products that will give them the best bang for their buck! What a cutie! 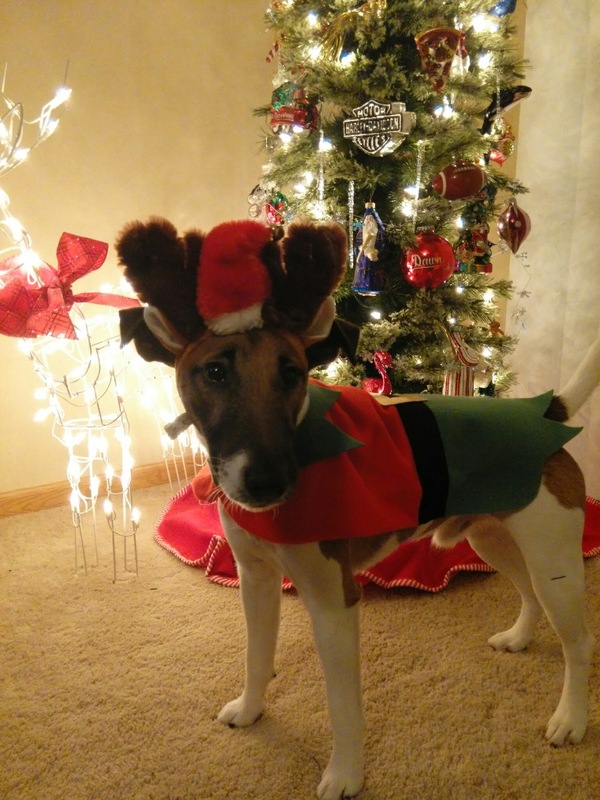 All dressed up for Christmas too! 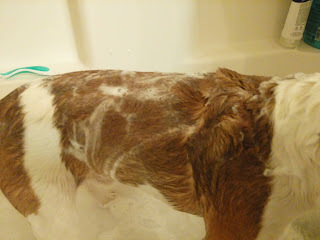 My pup gets frequent baths, if she ever has itching issues, I will go tot Bayer! He looks so cute in his Christmas outfit. Finding a quality shampoo that both the pet and owner likes is always a plus. It's definitely good keep some Bayer Expert Care products stocked up. It's so cute that Diesel enjoys getting shampooed! Our poor little guy had a super bad itch problem. Love this product. Awww. I bet he enjoyed that. He looks so calm! We live in Maine and winters are dry and long. 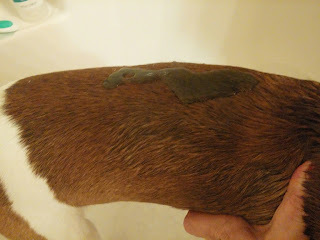 Our dog has sensitive skin and has a few problem dry areas so this would be a great solution for him. We are fans of this line and just went to PetSmart last week to get some of the spot on moisturizer. We had fab results and it looks like your doggie did, too. 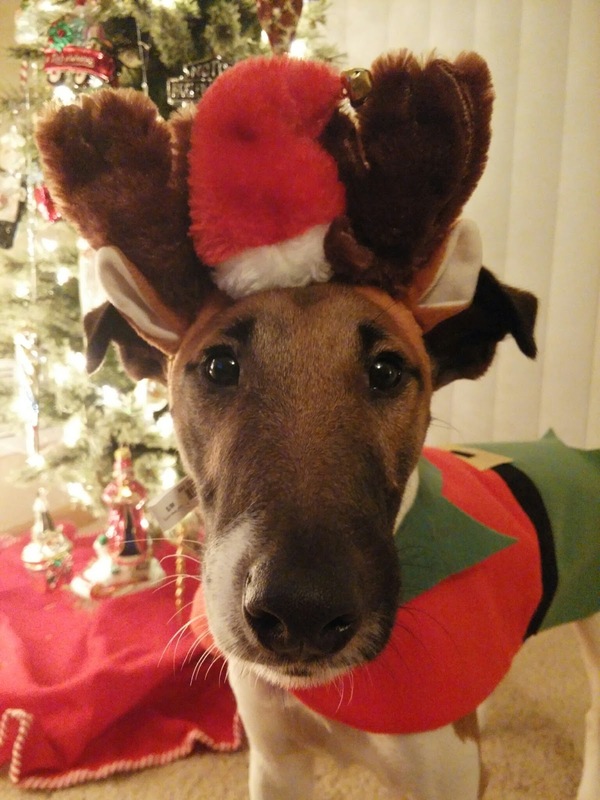 Happy Howl-i-days! You definitely do want quality products. And that last picture, aww! This sounds like a great product. I bet it would be irritating for dogs, this sounds helpful.